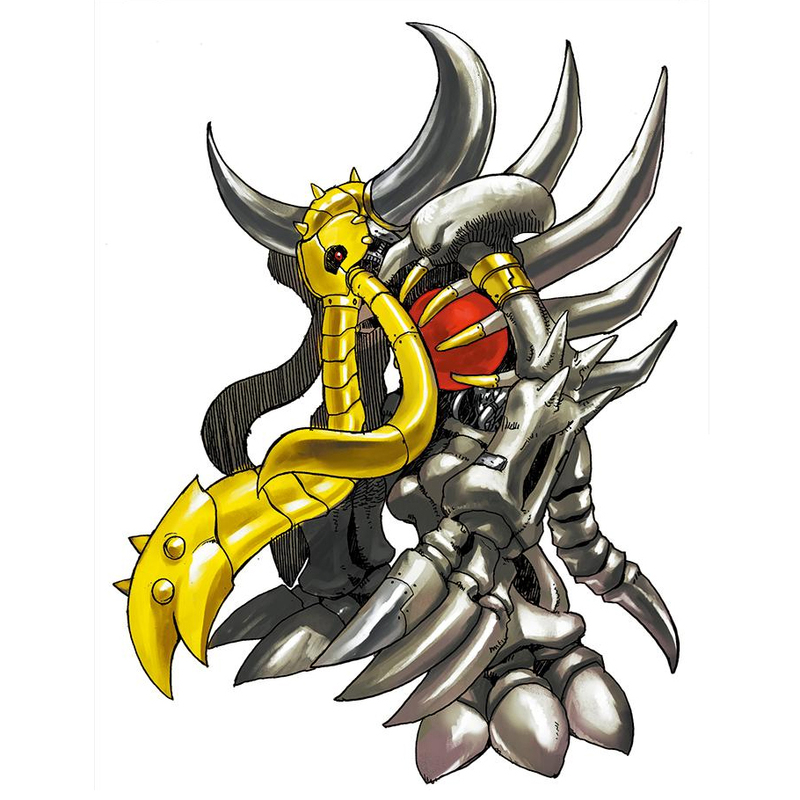 An Undead Digimon that was a Mammon, revived from ancient times, that continued to battle with Virus-species Digimon, resulting in its whole body being eaten away by a virus, leaving nothing but bones. Its survival instinct as a Vaccine is strong even in death, and in order to continue battling, it has lost all emotion and intelligence aside from its resolve to exterminate Viruses. 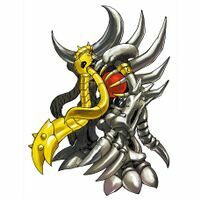 The Digicore shining within its chest is undamaged, so it is able to maintain its vital functions even though its body has become nothing but bones, but if the bare Digicore is struck, then Skull Mammon would probably be at the edge of death. Its Special Move is rapidly spinning and then hurling one of its vertebra (Spiral Bone). Even though it has become bones, it continues to battle, and true death is all that remains, but only its skeleton started to grow due to the effects of the X-Antibody. It completely stands up on its two feet, and its forelimbs have changed to being claw-shaped and tear up the enemy. 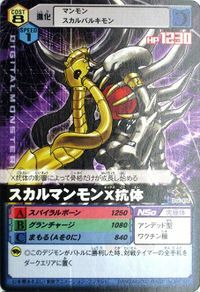 Its skull developed abnormally and turned into gigantic horns, becoming a powerful weapon that inflicts heavy damage to the enemy when it charges at them. It acquired its "Giant Crush Bone", it which it rapidly spins the gigantic horns on its skull and charges, smashing the enemy to pieces. Even though it has become bones, it continues to battle, and true death is all that remains, but only its skeleton started to grow due to the effects of the X-Antibody. It completely stands up on its two feet, and its forelimbs have changed to being claw-shaped and tear up the enemy. 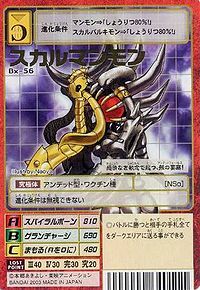 Its skull developed abnormally and turned into gigantic horns, becoming a powerful weapon that inflicts heavy damage to the enemy when it charges at them. Rapidly spins the gigantic horns on its skull and charges, smashing the enemy to pieces. 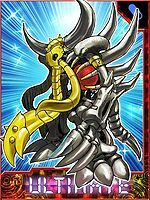 Skull Mammon X-Antibody is only obtainable as a collectible card. Its card is part of the Undead Monster (アンデットモンスター Andetto Monsutā) set. This undead fortress lacks any emotion, standing through the sheer force of tenacity! This page was last modified on 28 October 2018, at 10:20.